San Francisco, CA... The San Francisco International Airport (SFO) completed its annual emergency exercise today, simulating an aircraft accident that tested emergency procedures for communication, incident command, and coordination between multiple agencies. Although federal regulations require U.S. airports to conduct such a drill every three years, SFO conducts this full-scale emergency drill annually to ensure the highest level of readiness. "Safety is our #1 priority, and this exercise is a crucial part of our ongoing training process," said Airport Director Ivar C. Satero. "I appreciate the involvement of so many local, state, and federal agencies to prepare for a well-coordinated response to any emergency event at SFO." The exercise demonstrated the effective coordination of various agencies, including Airport staff, the San Francisco Fire Department Airport Division, the San Francisco Police Department Airport Bureau, mutual aid units from around the Bay Area, and various state and federal agencies. Over 150 volunteers, complete with make-up, participated as role-play passengers. Alaska Airlines served as the lead airline for the exercise, practicing procedures for reunification of role-play passengers with family members. Local area hospitals also participated in drills of patient arrival and requests for information. The exercise also demonstrated the capabilities of the SFO Emergency Operations Center (EOC), which serves as the focal point of the Airport’s efforts to restore normal operations following an event. The facility has been used extensively since its opening in 2000. 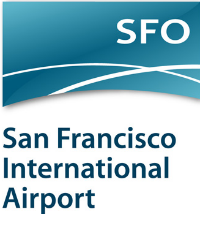 San Francisco International Airport (SFO) offers non-stop flights to more than 45 international cities on 39 international carriers. The Bay Area's largest airport connects non-stop with 79 cities in the U.S. on 13 domestic airlines. SFO is proud to offer upgraded free Wi-Fi with no advertising. For up-to-the-minute departure and arrival information, airport maps and details on shopping, dining, cultural exhibitions, ground transportation and more, visit www.flysfo.com. Follow us on www.twitter.com/flysfo and www.facebook.com/flysfo.